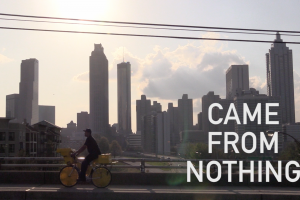 Came From Nothing is an interactive documentary that chronicles the incredible life story of Benjamin "Big Mouth Ben" Graham, an entrepreneur and motivational entertainer in Atlanta's Historic Sweet Auburn community. Big Mouth Ben overcame 17 years of addiction and homelessness on Auburn Avenue to open, together with his wife Tanya, a convenience store just two blocks from the same bridge under which he once slept. In the spring of 2017, as part of the design and social justice project studio course taught by Professor Nassim JafariNaimi and titled "Sweet Auburn, Birthplace of Ideas," two students set out to capture Ben and Tanya's story in the narrative form of a feature-length documentary film. The film project was successful, premiering to over 100 people from the Sweet Auburn community on May 4th at The APEX Museum, and more recently inspiring hundreds of other people through subsequent screenings at Fulton County Drug Court. With this project, Nick Tippens, one of the documentary film's co-creators, aims to deepen and expand its potential impact by designing an interactive version of the narrative. 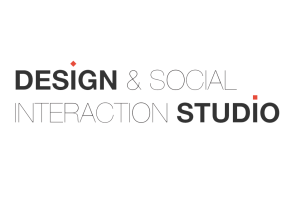 This digital application creates a new experience for the narrative's audience, affording them agency in their interactions with it, educating them about its issues, and providing them the tools to take action in response to it. By engaging the audience with multimedia forms of its content, the interactive documentary highlights the nuances of the narrative and enriches their understanding of its complexities.